The evening was frigid as the winter winds gusted, turning the snowflakes into irritating and painful projectiles as they were thrown about. Ragna had pulled her shemagh up over her nose and had a hand wrapped around the edges of her cloak’s hood to keep it from being pulled off by a particularly hard rake by the cold wind. The buildings of the old human ruins did nothing but channel the wind in places, compounding and strengthening them. It was not the worst she and her companions had been through, however, it was by no means pleasant either. Glade was warmly wrapped around the back of her neck beneath her deer-skin cloak, his little whiskers tickling her every so often when he would shift closer in an attempt to absorb her warmth. Below her, Brimstone rumbled his displeasure with the weather, the draft horse that had once been her partner’s, Jack, seeming to voice his agreement to the charcoal stallion. Ragna urged them onward despite it all though. If the jackal hadn’t been lying, then the place should have been…! True as he had said, Ragna spotted the reclaimed dwelling. Firelight glowed from a sheltered torch, acting as a beacon of sorts to lure in any would-be passerby. The Eklund steered her horses over to the others present. The hoofed beasts were huddled near the bar, however, had been smart enough to position themselves out of the wind. They gathered for warmth, and only one gave the two new horses and their rider more than a passing glance. She dismounted, giving Brimstone and jack a well-deserved petting before letting them join the huddle. Brimstone, she knew, wouldn’t let another ride him, and, being tethered to the dark mount, Jack wouldn’t wander off. Ragna was confident that the pair would stay out of trouble so long as trouble didn’t find them. She gave a single command for Brimstone to understand to stay before turning and making her way towards the bar. The change in his perch’s movements had caused the pine marten to stir from his dozing. “Mmm…? What doing, Ragna?” Glade murmured sleepily. She could feel him stretch and begin to move against her neck and shoulders. “Reconnaissance,” she hummed, releasing her grip on the edges of her hood to let him move more freely about. Ragna had nearly made it to the door when it was flung open for them. A pair of dog hybrids stumbled out, speaking loudly with one another and reeking of alcohol. Thankfully, the pair either didn’t notice the hooded wolfdog, or, didn’t care to acknowledge her. Ragna evaded around them easily enough, slipping through the door before it could fully close. Inside, the soft howl of the wind was quickly replaced with the loud clamor of the bar. Voices carried and tried to climb above one another. Drinks were poured, served, drank, and clanged as they were smacked down onto tables or against another’s mug. The building was warm from all of the moving bodies. Candles were lit to allow the inhabitants a way to see what would have otherwise been a dark room. It appeared that the place had quite the setup, much more than Ragna would have guessed from the jackal’s description. A loud whoop caught her attention to the far side of the building where a group of Luperci huddled around, egging each other on and talking trash to one another. “It’s a bar. I’ve taken you to one before, remember?” Her glacier eyes scanned the moving bodies. Another round of jeers and cackles went up, and the skinny jackal slammed his hands down on the table, his eyes bugging out of his head. "Cheat!" he declared, and jerked a finger at the spotted dog across the table, who folded her arms and, chewing on the end of her cigarette, snorted. "It's luck, hon, not cheating." She raked the assorted goods across the table toward her -- mostly scavenged trinkets that could fit in a hand. A button accidentally fell off the table and rolled toward the chair Myrkr sat on; the cat curled up under it reached out to bat at it, until Myr gently picked Caleb up and placed him on his lap, freeing the button. "Or," the dog continued, "maybe your god just doesn't like you anymore." A few more jeers went up. Someone said something crude. The jackal looked hurt, so Myrkr rose neatly to his feet. "Come on, Dollar, lay off him," the dark wolf said, and walked over to put his hand on the loser's shoulder. "C'mon, Sufjan, I'll get you a drink." "You're being too nice, Myrkr," Dollar said, as he flipped the button toward her like a coin. "Not his fault the cold's got him shaking so bad your friend can see his cards," Myrkr retorted, and Dollar laid her ears back while Sufjan shot a glare at the cackling mongrel sitting adjacent to him. "C'mon," he repeated, and led the shivering jackal back toward the counter -- hoping that some brandy would warm him back up again. "I shouldn't," Sufjan was saying while Myrkr set Caleb back down and gestured to Spud for a drink. "But this land is so cold, I come here, is the only place to be warm again --" He fell silent once a glass was in his hands, and he took a shaky sip while Myrkr patted him distractedly. Someone else was distracted too -- Caleb was crouched under a bar stool, his tail twitching erratically and his eyes fixed on a wolf who'd just entered the establishment. Myrkr glanced at him in concern; normally the cat was scarce when the bar was crowded, as drunken patrons tended to chase him, but it was too cold today and so he was forced to be inside -- like so many of the others were for the very same reason. But when he glanced up at the she-wolf, his nostrils twitched, and he thought he saw a furry shape poking out of her hood. His ears pricked. Immediately, with the graceful gait of a friendly cat, he bounced over. "Hey there!" Myrkr was all smiles, though he had to speak loudly when another whoop went up from Dollar's card game. Otherwise, he was the picture of submissive and nonthreatening innocence: his ears low, his bobtail wiggling, his hands splayed peacefully. "Haven't seen you around. I'm Myrkr, and I'm obligated to let you know the first drink's free, if you want one." He tried to peek at the other's hood without drawing her notice, while Caleb slunk behind the bar with Spud where there were less bodies to trample on his tabby tail. “When unconscious,” Glade laughed. He strained his neck to see beyond the fringe of her hood, wishing that Ragna would pull it down already so he could see the bar in its entirety. He dared not do so on his own though, not knowing what his Luperci friend had in mind with their visiting the establishment. It wasn’t like her to actively seek out social places such as this unless she had something in mind. Movement caught Ragna’s eye, finding a tall, dark, wolfish male with lighter accents here and there striding towards them. His hair was cropped short, though, it was still longer than many male soldiers’ or scouts’ from her time within Boreas. He hailed her, and she could feel Glade stand a bit straighter from his hidden perch at his calling. The man—missing his tail, she noticed, by how his hips moved but there was a lack of a tail to be seen from the movement—approached her in a submissive but friendly manner. From how he—Myrkr—spoke, it was likely he was one of the ones that worked with the bar owner—for, there was no way someone with his submissive demeanor could hold much sway over unruly patrons. “Thank you, Myrkr,” she replied, her voice kind despite the rugged edge it held. She even gave him a small, forced, polite smile. She waited for Myrkr to move first, letting him play the host since he had been the one to greet her. The dark hybrid was very pretty -- attractive, even, Myrkr would say. Though his tastes leaned very strongly toward men, the woman was so striking that she made an impression on him. Dark markings, ice blue eyes, short neat hair, and the scars on her face, she was a woman warrior if he'd ever known one. It intimidated him a little, but he was used to playing nice with dominant types, and he continued to smile at her and wiggle his bob-tail in an appeasing manner. He felt a little less intimidated when a very cute little face peeked out from the hood, a high accented voice eagerly asking about food. He recognized the dark eyes and whiskers of a marten and laughed. Oh, it's okay! He has his priorities straight. His mother wouldn't have said such a thing, but months as a loner afforded Myrkr some wiggleroom when it came to niceties. Food was always the important thing. We don't usually serve food, but sometimes cooks will come in and trade. I can see what we might have, if you would have anything to give in return? I'm not greedy though. Now that he had the food to spare, he didn't mind giving it away to those less fortunate, but when dipping into the squad's stores he ought to have something to give back. He didn't want Biff chewing him out. He walked to the bar and gestured to Spud. He's the guy to ask, he added, his ears wilting and his grin turning a hair nervous. I don't drink. The wolfdog put a couple of containers out on the counter, indicating some harder moonshine, the dregs of wine it looked like the bar had traded for, and some ale that was undoubtedly watered down. He bent down to retrieve a cup while Myr turned back to his new acquaintance and smiled. What are your names? he asked, careful to acknowledge the marten too. Do you come from very far away? Despite Glade’s interjection, the male did not seem to be fazed by it. In fact, he pretty much encouraged it. Welcoming and accepting, if Ragna could guess his role within the bar, she’d say that Myrkr was likely in charge of keeping the guests happy, or, at least long enough for them to have their drink, possibly more if they could pay whatever fee it was that the bar had. The man rolled with it like a natural too, apparently not bothered to have a conversation with a marten. It was nice to not have to go through the usual hoops, and it told a bit about the bar; that all kinds had likely come and gone through those doors. 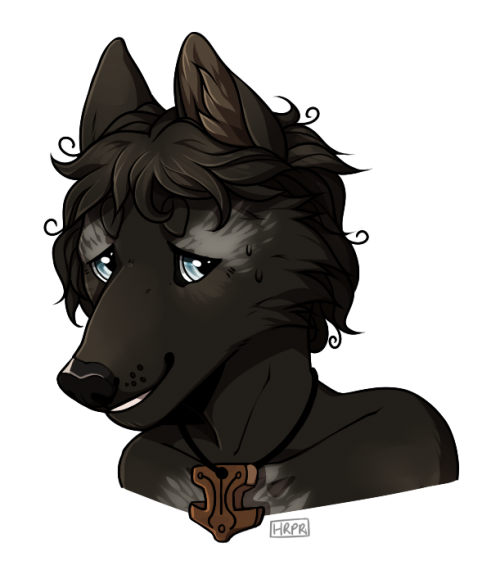 Ragna shook her head to Myrkr, politely declining, “A drink will be fine.” The emphasis of the word made her mustelid partner deflate a little. “He’s a bottomless pit even when he’s had food, and I have nothing to trade at the moment.” They would eat later if Glade was, truly, hungry. They had a bag full of dried meat that they could still dip into until Ragna could hunt for something fresh come first daylight. Myrkr escorted them to the bar, and Ragna followed. Her glacier eyes shifted over the other patrons briefly before taking a seat on one of the empty barstools. The barkeep, Spud, was introduced, and, to Myrkr’s explanation, the Eklund let out a soft, amused grunt. “Hnn, perhaps for the best. Alcohol can cloud the minds of good men.” She brought down her hood, increasing her range of peripheral vision. Glade shook himself out now that he was free of her hood. He leapt from his spot on her shoulder to the countertop, his beady eyes looking over Myrkr now in full now that he could see the stranger in his entirety. “The ale will be fine,” she decided when Spud explained the drinks they had to offer. While the white wolfdog moved to fill her a mug, Ragna’s eyes swept back to Myrkr when he spoke. “I’m Glade!” The marten chattered happily, appreciative that the bobtailed male had included him in the conversation. “Ragna,” his Luperci companion introduced simply, “And, far enough.” She answered with a shrug. “Trying to look for a new start, you know how the story goes.” It was the reason of pretty much any average Loner, and, unfortunately, a category she had recently found herself falling into. “I had a few leads on an old friend of mine that might be in the area. I was hoping perhaps to find some information here since alcohol seems to draw all kinds out of the woodwork.” She made a glance at the crowd of patrons gathered there. Shame. It didn’t look like there were any coyote scum hanging about that night. Myrkr hid a smile behind his grizzled fingers at the sad look on the marten's face, and hopped up onto a barstool as the woman accepted one of the drinks. When her hood came down, the marten jumped out onto the counter and introduced himself as Glade. Good to meet you, the dark wolf replied honestly, reaching lightly for the mustelid so that Glade could sniff and investigate his fingers. He thought of how mad Muddy would be to smell the little predator on his fur, and wondered if Caleb would give him the cold shoulder later. The thought made him grin, an expression he turned toward Ragna with understanding. Yeah, I only just found mine here, he said of new starts. Temporary, maybe, but it's something. His bobtail wagged. What kind of leads you after? I can't promise to know everything, but I've got family in a couple of packs and heard enough stories from passersby that I might be able to help. He paused, then added with a laugh and glance at the rabble in the back of the bar, And you don't have to interpret my words through a slur. To the offered hand, the marten sniffed it tentatively, as if unsure whether the seemingly friendly host might decide to suddenly become aggressive with him and slap him. Ragna had always cautioned him, and there were quite a few even within Boreas that had saw the mustelid more as a nuisance or prey than a companion. 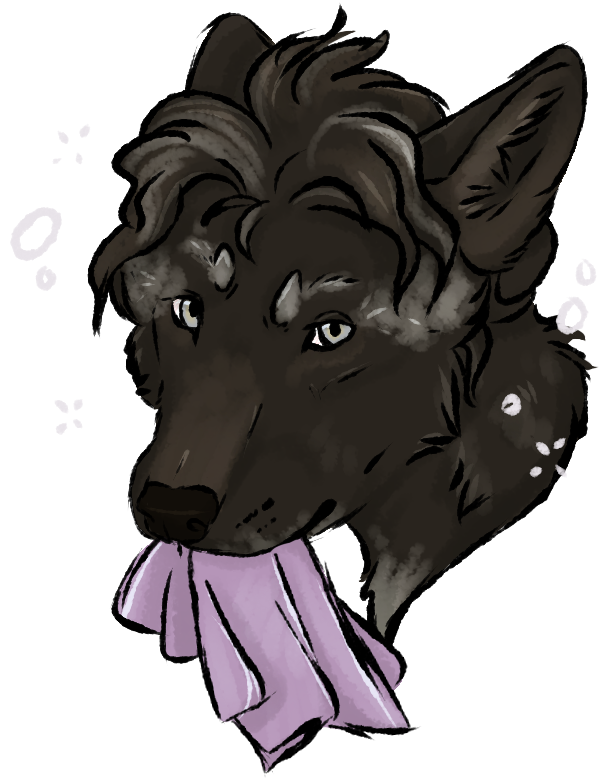 After smelling the bobtailed wolf and deciding that Myrkr was decent enough, Glade extended his little hand-like paws out in an attempt to mimic shaking hands as the Luperci would, however, his paws would only be able to wrap around a few fingers at most. “Nice meet too!” He chattered. Spud came back then, eyeing the long-bodied creature that now sat on his bar counter with an unreadable look. He placed down a wooden mug before returning back to his previous duties without a word. Ragna offered the man a polite incline of her head, but otherwise kept her attentions on the conversation between herself and Myrkr. “You seem to fit your role quite well,” she complimented off-handedly. Thus far, he had not rubbed her the wrong way, and, such a feat said a lot about someone. The Clan had moved…but for what for? “And, if there’s anywhere he’d be, he probably would have gone there to wait out the winter.” The fictional individual of her interests was purposely kept vague for the time being. Glade had maneuvered over to her mug and had sat up on his haunches. His noodle-body leaned over and steadied himself on the mouth of the cup. His beady eyes peered down at his reflection, whiskers twitching as he took sniffs at the mixture. “Have you heard anything about that?” She asked. Myrkr giggled when Glade shook his fingers with the little paws, utterly charmed by the creature, then offered a similarly warm and happy look at Ragna as she complimented him lightly. It was the least he could do to please others. The Stormbringer had never really been able to satisfy himself. “Inferni?” Dark ears pricked in the mop of curly hair, and he frowned and glanced aside. “I don’t know for sure, but I heard rumors. Careful with that, it might make you sick,” he said as an aside to Glade as the marten perched his forequarters on Ragna’s mug. He shrugged after a second, glancing back at the rabble. These stories were secondhand from his mother, who had struck up a brief information alliance with one of the leaders – some tough old bird named Vesper. Shiloh warned her kids about associating with the coyotes, even if she didn’t believe them inherently bad. “I haven’t been out that way myself,” Myrkr told Ragna apologetically. Gonna throw an ending on this real quick<33 Thanks for the thread! The bobtailed male knew exactly which pack she referred to, recalling it by name. It was a start. Many of the Loners she’d crossed thus far didn’t even know that much. Some spouted off unhelpful, unrelated information regarding the Clan—or some version of it—others, had never even heard of it or their ways. Hearing Myrkr refer to the coyote group by name made her hopeful that, whatever he had heard, had some truth to it, or, at least, something close to it. Unfortunately, the information he had to spare was not something the scout hadn’t already assumed. She had seen the carnage with her own eyes, had drawn similar conclusions as whoever had passed the rumor to the dark wolf. The charred remains didn’t appear to be accidental. Not with how all of the surrounding buildings had also been burned to the ground, and, curiously, the surrounding forest had remained untouched. It was irritating, to know another enemy of Clan had managed to strike them down where Boreas had failed. Despite her disappointment with the lack of new leads, Ragna did her part to show interest and surprise in what Myrkr revealed. He had been kind enough to divulge what he knew, even if it hadn’t helped her get any closer to figuring out where the coyotes had run off to. The least she could do was continue her charade. Her surprise shifted to mock concern, and then thoughtful as Myrkr came about to apologizing. Ragna wished for the exact opposite. Snorri’s soul and the rest of the victims of her faction would never rest so long as the sinners remained alive and well. Whatever had done them in and forced them to abandon their home territory, Ragna was envious. With any luck, the winter season would kill the vermin off. Her icy gaze fell upon the bobtailed man, giving him a nod of gratitude. “Thanks for the information. Hopefully, your gut is right.” She took a drink from her mug, the taste soured by her own words.